Last month Expedia.com released its 2012 Flip Flop report. Seeing as I developed a flip-flop method for measuring your pace of life, I feel it’s only appropriate to post this nifty infographic. Germans top the list of beach-loving nations ~ it could have something to do with the fact that summer is typically measured in days, not weeks or months here. Pardon my cynicism, but honestly~ 20°C does not equal warm, folks. Note the Brazilians’ attitude toward the beach. They like to dance, relax, sunbathe and dine there. Anyone care to do a little Samba along the coast? In my view, the Brazilian attitude toward relaxation wins hands down! Jenna McGregor at the Washington Post recently wrote about a study that absolutely caught my attention on her leadership blog. In a forthcoming issue of American Economic Review, Cornell University researchers are presenting the findings of a new study that shows respondents prefer salary over sleep. Contrary to much of the research stating people’s well-being is based well beyond a fat paycheck, these findings propose that if people had a choice between $80,000, reasonable work hours and 7.5 hours a sleep and $140,000 with longer work hours and only 6 hours of sleep, the majority would choose the latter. Who has a choice between the two anyway? Not many. My problem with studies like these is who is this really serving? It justifies workaholism and reinforces the time is money scheme we’ve all been led to believe. Truth be told happiness is driven by more than the almighty dollar. A lot of it has to do with our state of mind. If you look at Gallup’s latest comparative Well-Being Index, Germans rate their level of happiness much lower overall than Americans. Despite the continued economic woes in the United States and Germany’s supreme economic stability in the face of the current Euro debate, only 41.1% of Germans ages 18 or older consider themselves ‘thriving’. 53.1% are struggling and 5.8% are ‘suffering’. In comparison, in the United States 52.9% say they are ‘thriving’ while 43.5% say they are ‘struggling’. Only 3.6% report that they are ‘suffering’. In a country where unemployment is relatively low, universal health care is a given, and they enjoy one of the lowest average hours worked of any OECD country, I wonder why Germans are less happy. It doesn’t seem that money or time off is the answer. It may be culturally entrenched that it’s not kosher to admit you are doing well. I’ve noticed a German tendency to commiserate versus celebrate. A mindshift is required to move from a state of lack to a state of abundance. The power of slow can help, one step at a time, to liberate ourselves from unhealthy thinking. 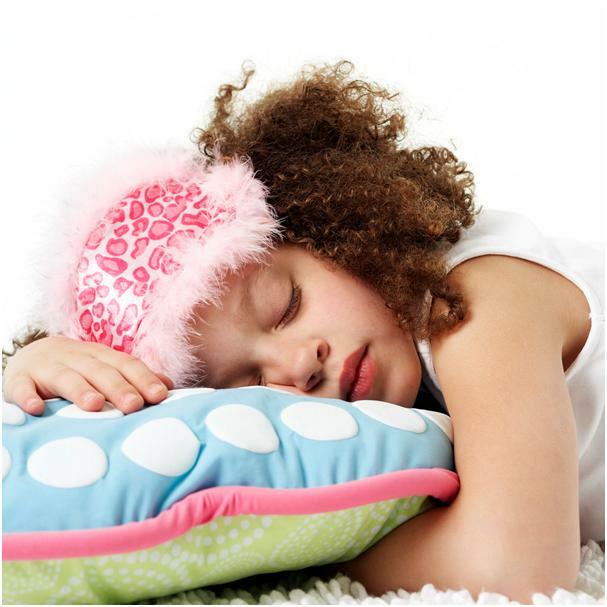 We all know sleep can help boost our mood. You can bank on it! Every once in a while, my dad sends me some really great tips. Here’s a feel good three-minute award-winning short to start your week. Bottom line: It’s never too late to be kind. Life is a journey of learning, but without resources it is hard to continue the formal learning process. Twenty years ago I applied for a Fulbright scholarship as I wanted to study in Berlin. It didn’t pan out, but what the process did for me was to help me focus on my goals and priorities. It was an exciting time in Berlin around the time of German reunification in 1992. In the end I found a way to obtain my master’s degree elsewhere in Germany without the scholarship (by working five jobs at once). The experience taught me humility, resourcefulness and abundant thinking. No matter how little I had at the time, I had more than enough. I just got word that the Fulbright Hays program has been slashed out of existence by Congress. It makes me sad on so many levels because international study is a cornerstone to international peace. Without foreign exchange we end up trapped in our own bubbles, unknowledgeable about other ways of thinking. So please join me in signing this petition to save this program. It’s an outrage to think we spend billions of dollars killing other people instead of instilling a sense of international unity. On this President’s Day, I sit in snowy Bavaria, contemplating the state of our world today. The weekend edition of my sleepy town’s paper reported on a University of South Carolina study that found 92% of the participants lied when communicating via Email (all efforts to find the original study failed so for the purposes of this post, I am going to give the newspaper the benefit of the doubt). The study participants were given $89, then told to let an unknown recipient how much money they had in the kitty and how much they were willing to share. A whopping ninety-two percent who used Email to convey their message were dishonest about the amount they had available to them (to their advantage). For those in the study who were required to write a letter instead, only 63% (still a huge number) lied about it. You might argue that most people have a skewed relationship with money and are therefore dishonest about such things. But even when it comes to plagiarism, people risk being tossed out of school, or as in the case of Defense Minister Karl-Theodor zu Guttenberg, Germany’s most favored politician, some risk being tossed out of office. Having experienced what it feels like to see my own words in print under someone else’s name (a political science professor whom I greatly admired lifted a full two paragraphs from a graduate studies research paper I had written and claimed it as his own), I am following the plagarism scandal that Mr (can I still say Dr?) zu Guttenberg has swirling around him. He is accused of plagiarizing almost 100 different passages from newspapers and other published works in his doctoral thesis. While he has claimed his innocence (and part of me really wants to believe him), the piling evidence is stacked against him. When an elected official plagiarizes, what does this teach our children? It opens up the opportuntiy for discussion about what is right and what is wrong. And yet I wonder, beyond the initial learning moment, whether they too will be pressured to keep pace with the increasing demands and give in to the temptation to do a quick cut and paste at crunch time. 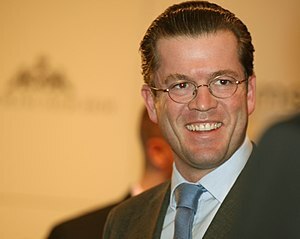 Zu Guttenberg, a German royal (yes, we have those, too) with 10 first names, launched his political career while raising a young family (okay, his wife did the heavy-lifting) and writing a 450+ page doctoral thesis. Nonetheless, we must hold him to the same standard as anyone else. Cheating is cheating, no matter how many names you possess. In our 24/7 Internet world, it’s imperative that we maintain a high level of integrity. It’s too easy to lift ideas and call them your own, all in the name of ‘saving time’. But, as in the case of my wayward professor who landed in the hospital with a broken pelvis after playing soccer shortly after I confronted him (in a letter), life teaches us that there are no shortcuts. Sooner or later someone will discover you’ve lied in an Email, or in a published work. My power of slow advice to you all is to give credit where credit is due. Source it, people. It won’t make you shine less to give someone else the kudos for their hard-earned work. In fact, in this day and age, you might be the rare 8% who stand out as a superstar because you actually told the truth. With weather like this, all I want to do is graze. It’s hard to motivate yourself when the daylight hours span 9:30 am to about 3:15 pm. I’m not kidding. It’s getting dark by tea time in Germany now. The lack of sunlight elicits a primal response in my body. It says “Hunker down. Do puzzles. Lay low.” My appetite rises as I yearn for more chocolate than I do all year. Instead of beating yourself up, listen to what your body is telling you. Do you need more calories when the light grows dim by mid-afternoon? Honor that. You can offset it with more indoor activity (keeping the floor clean with two children and four pet rodents that spend a GREAT DEAL OF TIME INDOORS is physically challenging enough!). I feel like a small animal, hamstering away goodies to keep my body fed. If I didn’t, the kids would inhale my treats in one day. So little by little, I feed from the trough of delight. A little bon-bon here, a cup of ginger tea there. Recently, in an interview on Ageless Sages with Natalie Tucker Miller, I commented how nature goes at its own hand-made pace. You don’t see fall rushing through its season, do you? The same goes for animals. They go at their innate pace (which varies, depending on the season). In the last century we’ve increased our longevity by thirty years. In 1900 folks lived an average of 47 years; by the year 2000 that number had jumped to 78. Although I am far from retirement age, I follow the conversation of the changing retirement laws in Germany because it fascinates me that people are forced to stop working when they hit that ‘magic number’. While they want to raise it from 65 to age 67, there have been protests in France because they just jacked retirement up to age 60. Imagine the thought! Why, as the population ages and fewer people are born to replace them, are people being coerced to leave the workplace? That’s where Peter Cappelli and Bill Novelli, co-authors of the newly released book, Managing the Older Worker: How to Prepare for the New Organizational Order, come in. They make a strong case for retaining talent and conducting smart knowledge management. After all, older folks are living longer, have more experience and, according to the authors, are motivated by different interests than their eager, younger colleagues. Dangling a promotion in front of their noses isn’t nearly as effective as giving them an interesting assignment that keeps them as a team player. just as costly (or not, depending on how the company views overall employee benefits). In other words, older workers’ value in terms of knowledge and willingness to learn new things (thereby debunking the myth that people over forty somehow can’t or won’t ‘get with the program’) far outweighs any insurance cost, etc. Also notable is the fact that older workers are much less likeyl to have costly dependents so while their insurance premiums may be slightly higher, they are actually less costly in the overall scheme of things. I thought of this today as I stood in line, waiting with one hundred other warm bodies, to buy my daughter’s last-minute school supplies. In high school, they like to tell the kids what they will need for class on the first day of school, leaving no time to prepare over a series of weeks. That means good ole Mom gets to push her way through the crowds for those ‘extra’ items she couldn’t foresee. But back to my point: there were two lines. One had an elderly gentleman and a middle-aged woman working the cash register. The other had a younger team. One called out the price; the other typed it into the register. I couldn’t help but notice my line with the older team wasn’t moving as fast. Despite my ownership of the power of slow principles, I felt myself getting hot under the collar (literally ~all those people in such a small space!). When it was finally my turn, the woman advised me that I was buying the wrong pens. She kindly went back into the throng to get the right ones for me. She may have been slower, but imagine the amount of time she actually saved me in getting me the right pens the first time! That’s the very conscientiousness and customer care Cappelli and Novelli praised in the older worker. Amazing! I smiled as the power of slow found its way back into my heart…and the right school supplies into my bag. Thanks to Managing the Older Worker, I will continue to view more experienced employees as the harbingers of slow because, as we all know by now, it’s faster anyway!